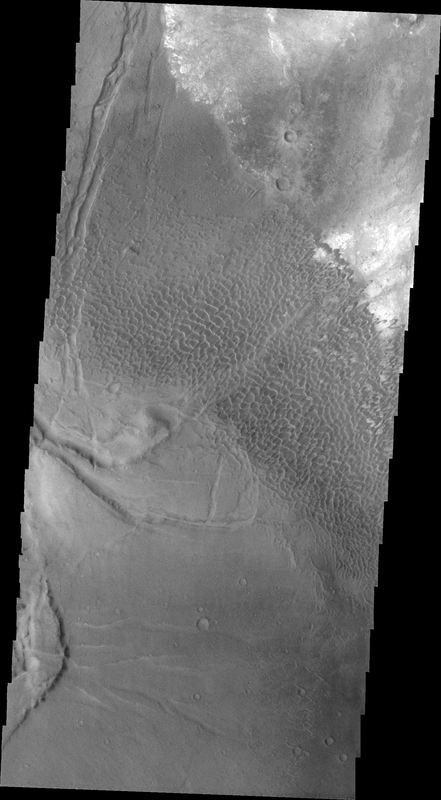 This image shows part of the Nili Patera dune field. High resolution imaging by other spacecraft has revealed that the dunes in this region are moving. Winds are blowing the dunes across a rough surface of regional volcanic lava flows. The paterae are calderas on the volcanic complex called Syrtis Major Planum. Dunes are found in both Nili and Meroe Paterae and in the region between the two calderas.